When it comes time to call a locksmith, we at Toronto’s Certified Locksmiths believe that you won’t find a better service than the one we offer. Our locksmiths are not only experts in their trade but they are also professional, courteous and understanding.Whether you need assistance with your residential home, your commercial property or your automobile, our locksmiths can help you. If you need a simple key cutting, we can do that. If you need an elaborate lock system put in place, we can help with that too. No matter how big or small your task, we’re happy to assist. Here are some of the services we offer: Replacement key cutting Replacement lock fitting Damage repair (including that caused by attempted break-ins) Assistance with safes, cabinets and other lockable storage devices Automobile assistance Installation of security locks and systems We also offer a 24/7 service in and around Toronto, which means you’ll never have to wait long for one of our locksmiths to arrive and rectify the situation. We hope that this goes a little way to offering you peace of mind. 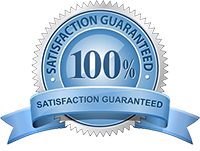 Finally, Toronto’s Certified Locksmiths is proud to serve the Great Toronto Area.